Dozens and dozens of undescribed species were discovered in what is now being described as a new treasure trove of fossils in China. The find could shed light into mysterious Cambrian ecology. In China, there is a newly discovered fossil site that is comparable to the Burgess Shale in Canada that was discovered in 1909. In a new study, scientists describe the site’s fossil richness in that they have so far found dozens upon dozens of fossilized remains of creatures from about 518 million years ago, over half of which were previously undiscovered. The site is also very unique in that they found delicately preserved microscopic fossils and remains of soft-bodied creatures such as jellyfish, sponges, and sea anemones along with the other well-preserved fossils. In fact, the researchers believe that their discovery rivals the others because of the high diversity of species, and the fact that it is 10 million years older than the others. The Qingjiang site can be found along the bank of the Danshui river in the Hubei province in China. The creatures found in the site, now collectively called the Qingjiang biota, are believed to have been preserved thanks to a combination of conditions that allowed them to be so well preserved for over 500 million years. Researchers believe that the creatures were pulled into the deeper, oxygen-poor waters after their death and were quickly buried in sediment that preserved their soft bodies. Once compressed under the sediment, they were protected from the processes that could break them down. What’s interesting is that the creatures found on the Qingjiang site are just 8 percent similar to the creatures on the Chengjiang fossil site which is just 652 miles away. According to researchers, this shows the immense diversity during the Cambrian explosion. So far, there is still debate regarding the so-called Cambrian explosion of whether it was a real event that resulted in a sudden diversification during the period or if it simply looks that due to the lack of fossil samples. 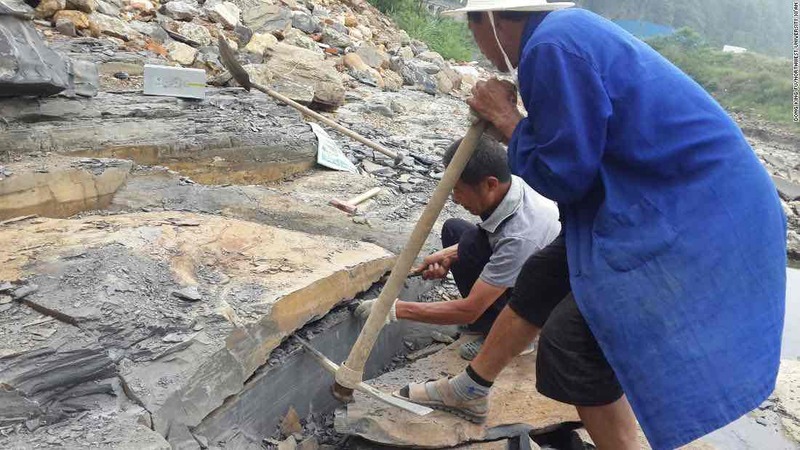 Whether the Qingjiang site will help or fuel the debate remains to be seen, but it does certainly add rich information to an ongoing mystery in the history of the planet.